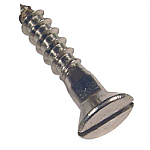 Wood Screws and Cut Nails To properly build, repair or restore an authentic vintage-style or antique piece of furniture, you need period-correct assembly hardware, including the wood screws and cut nails we offer here at Kennedy Hardware. 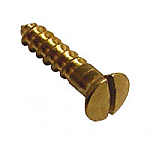 For example, we offer wood screws in various materials, sizes and quantities. 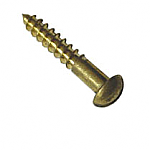 You can choose brass screws, steel screws, or nickel screws. 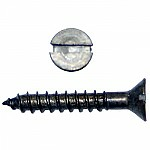 And you can choose flat head, round head, and oval screws, too. 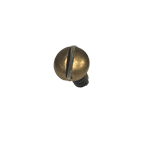 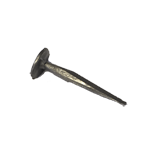 We offer trunk nails and trunk tacks in brass and steel, and in various sizes. 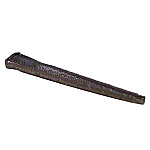 And our old-fashioned cut nails come in shingle, finish and clout styles. 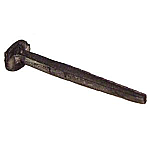 Our headless brads can be a perfect way to minimize wood splits in that old and delicate furniture or cabinetry you are repairing or restoring. 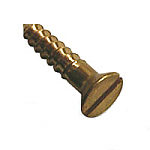 Simply put, when you need period-correct screws, tacks, cut nails or brads for your vintage or antique furniture restoration project, Kennedy Hardware is your one-stop online shop! 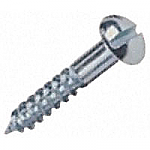 Browse, click and order today and we'll ship your selections right away!